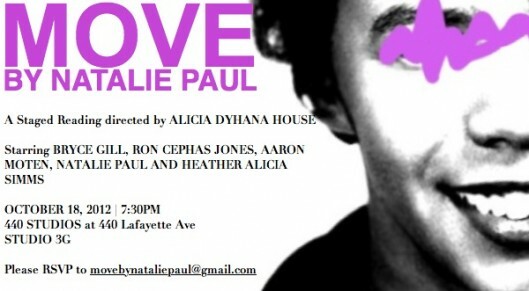 Come out for a powerful staged reading written by Haitian-American NYU graduate Natalie Paul! Admission is free. RSVP to MovebyNataliePaul@gmail.com. This entry was posted on Thursday, October 11th, 2012 at 9:22 am	and is filed under Arts, Events, Theater. You can follow any responses to this entry through the RSS 2.0 feed. You can leave a response, or trackback from your own site.